When Christmas or Birthdays come around, you may feel the need to invest in socks (preferably alpaca), handkerchiefs, a bottle of spirits or any number of other presents…..or you can do something really different and give alpaca walking vouchers from Spring Farm Alpacas. 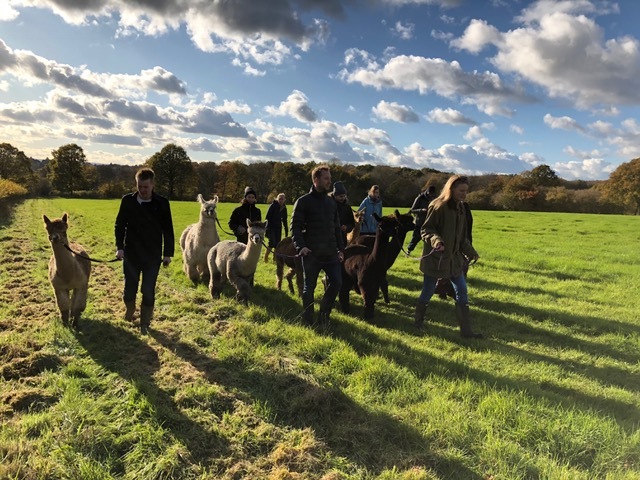 Or it may be that you are completely stumped with what to serve up with the Brussel sprouts but we can whole heartedly recommend an alpaca walk here at Spring Farm Alpacas. When I was a child, I was dragged out in the car, parked in a car park, route marched from A to B to A and put back in the car – and spent the next 20 years avoiding everything that was green (except, funnily enough, the Brussel sprouts) and became a city dweller. But something inside eats away at you that there must be more to life than computer games and re-runs of The Great Escape. 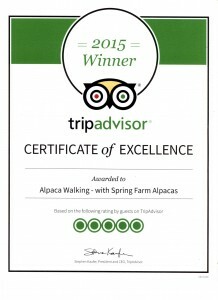 So why not book a voucher for an alpaca walk with us. 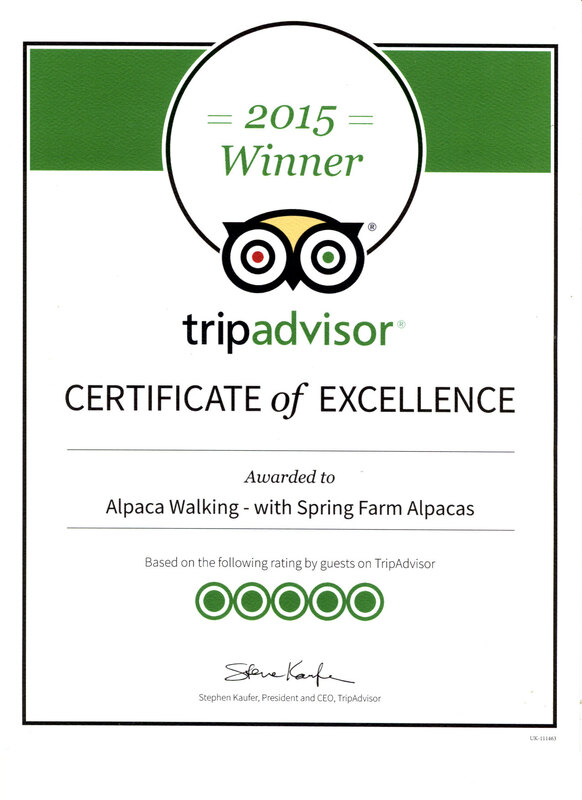 The pride of place goes to our amazing alpacas who we take out within our own farm boundaries for a relaxing walk of about a mile – entirely within our farm boundaries. In this time, we are happy to point out wonderful British wildlife – and all whilst informing you about alpacas, their history and how we farm for maximum wildlife biodiversity. When we get back to the farm, we reward our walking alpacas with carrots which we chopped for you earlier and then go and visit the mum’s and babies group so you can meet the crias (baby alpacas). Spring Farm is very different in each of our 4 Seasons so please don’t think of this as a purely Summer event…come and see the wood anemones/bluebells in Springtime, the changing leaves in Autumn (add on a visit to Sheffield Park Gardens to really max out on Autumn colour – its virtually next door), and uninterrupted views of wildlife in Winter as the farm starts to wake up again. 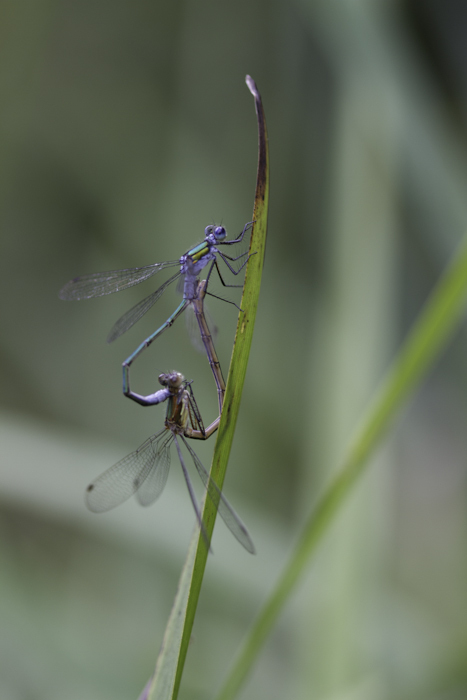 Damsel flies – obviously in love! Spring Farm is farmed within Higher Level Stewardship and as such we do all we can to encourage wildlife and what’s more, we are within the High Weald Area of Outstanding Natural Beauty – and surrounded by many other attractions and eating venues. If you book alpaca walking vouchers, we will send them to you by return (we send them out first class) and you can also choose to receive them in one of our “alpaca cards” for an additional £2 each (inc VAT). The cost of a voucher is £30 (inc VAT) per person walking plus a £1 charge for P+P. Please note that we need a minimum of two people walking on any given day. Also, because we are a working alpaca farm, please note all walks need to be pre-booked (please be aware we do get very busy at weekends especially in the Spring/Summer). When the recipient would like to book a walk, our online booking system allows for booking with vouchers and recipients can see availability at the touch of a button (or two). From 2019 we are also able to offer eVouchers so even if you have missed the last post, we can email you an eVoucher – particularly useful given the Christmas post! If you would rather an eVoucher – you don’t need to add on the cost of postage. 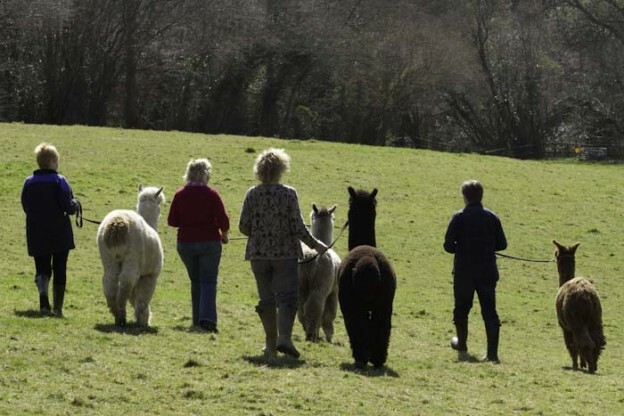 For full practicalities, please see our HOME page and for contact details and directions, please see our CONTACT US AND WALK WITH ALPACAS page. Please note you need to email or call us to purchase vouchers/eVouchers and cards as we can’t automate the purchase process currently. We look forward to seeing you soon with or without your new socks!